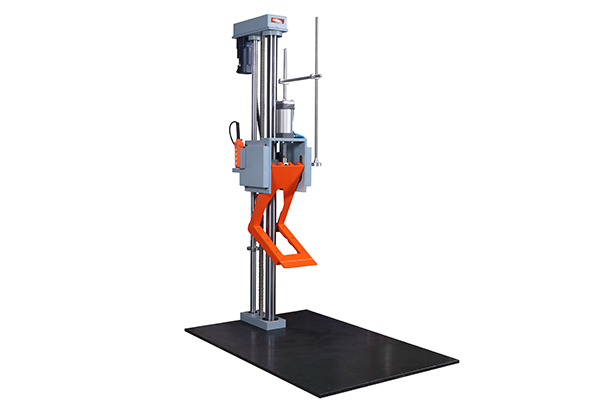 The vibration test machine provides the vibration environment of the product during manufacturing, transportation and use, and identifies whether the product has the ability to withstand this environment, used to detect early failures, simulate actual working condition assessment and structural strength test. This product is widely used in defense, aviation, aerospace, communications, electronics, electrical appliances, automotive manufacturing and other industries. 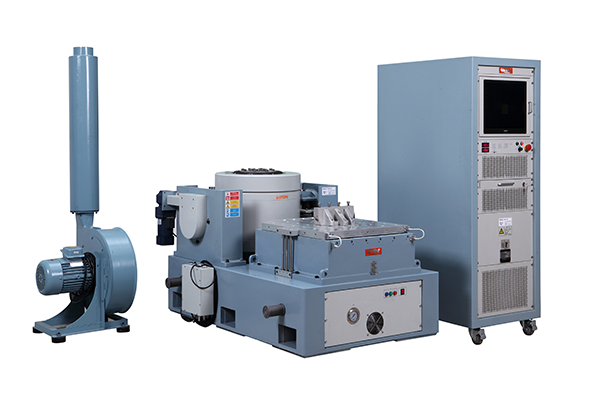 I.Classification of vibration testing machines There are 3 types of vibration testing methods: mechanical vibration test machines, electro-hydraulic vibration test machines and electric vibration test machines. The unbalanced weight type excites the vibration table by the centrifugal force generated when the unbalanced weight rotates. The excitation force is proportional to the square of the unbalance torque and the rotational speed. 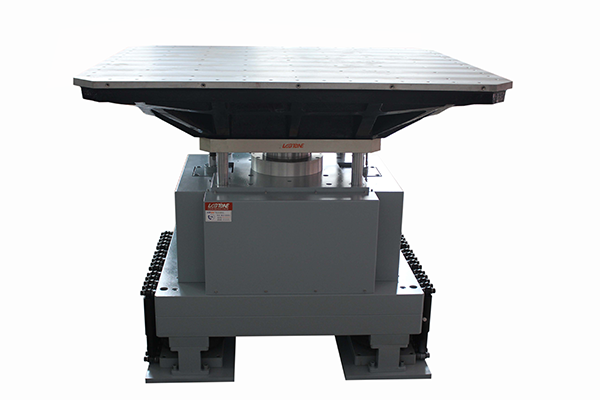 The vibrating table can generate sinusoidal vibration, and has a simple structure and low cost, but can only work in a frequency range of about 5 Hz to 100 Hz, the maximum displacement is 6 mm peak-to-peak, and the maximum acceleration is about 10 g, and random vibration cannot be performed. The displacement of the moving part of the cam type vibration test machine depends on the eccentric amount of the cam and the arm length of the crankshaft, and the exciting force varies depending on the mass of the moving part. 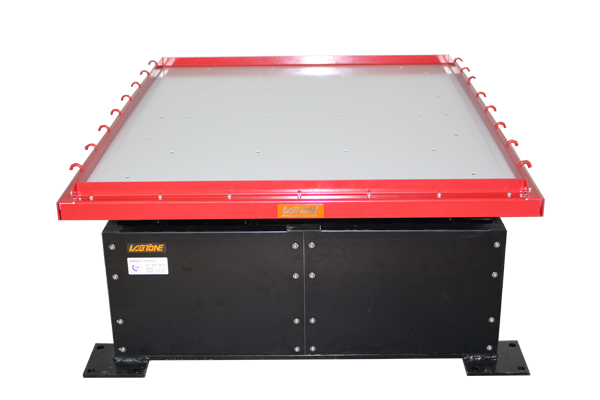 Such a vibrating table can achieve a large displacement, such as 100 mm, in a low frequency range when the exciting force is large. However, the operating frequency of this device is limited to low frequency, and the upper limit frequency is around 20 Hz. The maximum acceleration is about 3g, and the acceleration waveform is very distorted. The test machine is characterized by accurate data, but it is expensive, generally more than 200,000, and the site requirements are very strict. 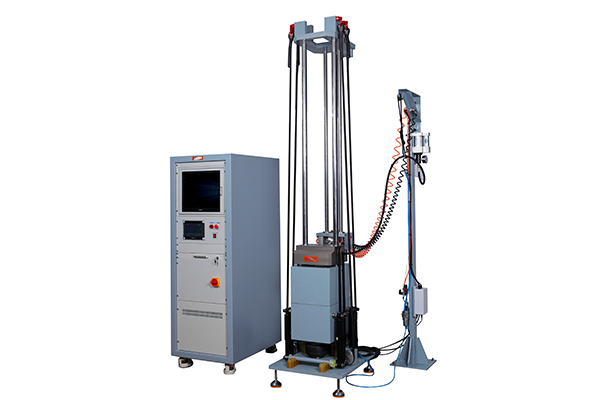 The electro-hydraulic vibration test machine works by driving a controllable servo valve with a small electric vibration tester to vibrate the transmission through oil pressure. 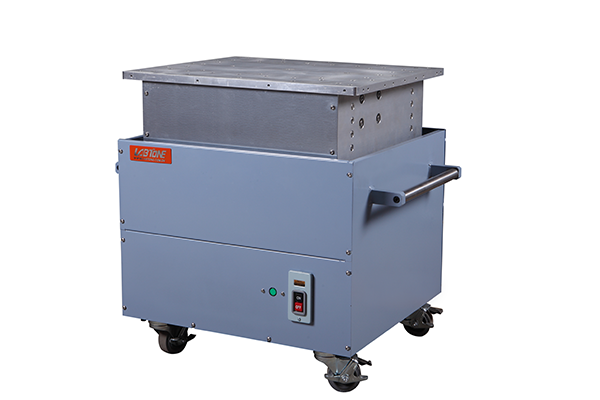 This vibration tester can generate a large amount of exciting force and displacement, such as excitation force up to 104kN, displacement up to 2.5m, and a large excitation force can be obtained at very low frequencies. The limitation of the electro-hydraulic stage is that its high-frequency performance is poor, the upper limit operating frequency is low, and the waveform distortion is large. Although random vibration can be performed, the rms rating of the random vibration excitation force can only be 1/3 or less of the sine rating. and will still play a role in the future vibration test, especially in the ship and automobile industry. 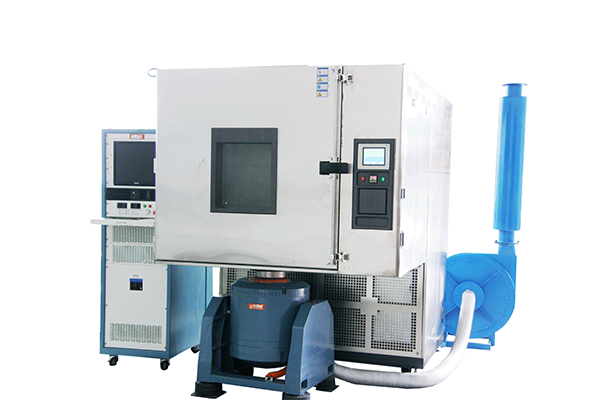 The electromagnetic vibration test machine is currently the most widely used vibration device. Its wide frequency range, small vibration machine frequency range of 0 ~ 5000Hz, easy to achieve automatic or manual control; acceleration waveform is good, suitable for generating random waves; can get a large acceleration. The vibration tester drives the coil current in a direct and inductive manner. Direct mode is to directly add the current output from the amplifier to the drive coil, which is the mainstream of the vibration tester. Inductive is to pass alternating current into a fixed coil, and then inductively generate current in the drive coil. The drive coil of the inductive vibrating table does not need to lead the cable, and the structure is simple, but the device is relatively inefficient. 1.The test piece must be rigidly mounted on the test bench. Otherwise, resonance and waveform distortion will occur, which will affect the correct test of the test piece. In the vibration test of the test piece, it cannot be disassembled, and it is necessary to stop it if necessary. 2. The fixture used in the test should be used correctly and ensure that it is fixed, avoiding injury and equipment damage. 3. If any abnormality occurs during the test, stop the test immediately to avoid damage to the equipment. 4. The system must not touch the sensor during operation. 5. When working with the vibration tester, do not place magnetic or unsuitable objects (such as watches) close to the vibration generator. 6. In order to allow the power amplifier module and the platform to have sufficient cooling time, the power amplifier leakage breaker must be turned off after the signal is turned off for 7 to 10 minutes. 7. It is absolutely not allowed to turn off the control box and the microcomputer power before turning off the power amplifier. Otherwise, it will cause impact or even damage to the power amplifier and the vibration table.